The Royal Concertgebouw Orchestra makes its Singapore debut next year with an exciting programme of Debussy and Bruckner under the baton of Daniele Gatti. Want to know more about them? Read on to find out! 1. In 129 years of orchestra history, the RCO has had only 7 chief conductors. These conductors were Willem Kes (chief conductor from 1888 to 1895), Willem Mengelberg (1895–1945), Eduard van Beinum (1945–1959), Bernard Haitink (1963–1988), Riccardo Chailly (1988–2004) and Mariss Jansons (2004-2015), and Daniele Gatti (2016-present). 2. Their longest-serving chief conductor was Wilhelm Mengelberg, a Dutchman who attracted many leading composers such as Richard Strauss, Gustav Mahler, Claude Debussy (whose music will be played at the concert in Jan), and Igor Stravinsky to conducted the orchestra on more than one occasion. Mahler worked so well with them that he went back as guest conductor for 10 occasions! 3. Imagine an orchestra called the Concert Hall Symphony Orchestra. Essentially, that’s what the word ‘Concertgebouw’ means. 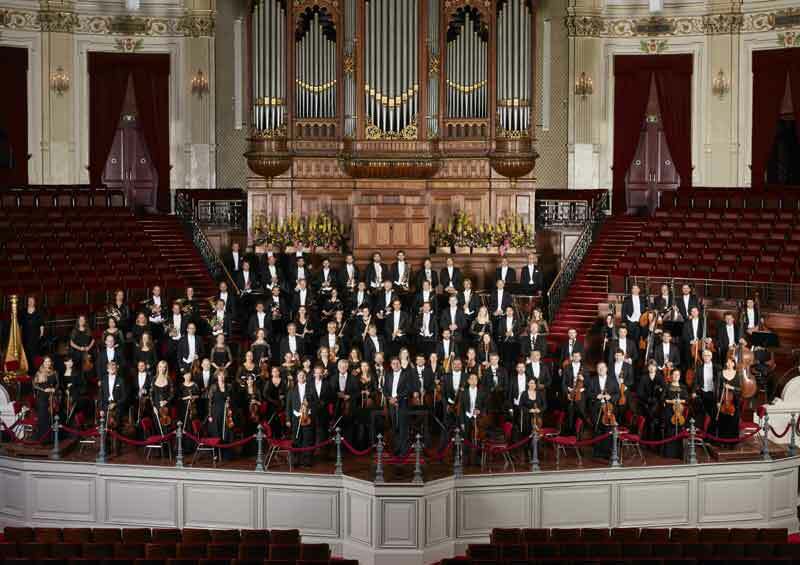 The Concertgebouw (concert hall) opened its doors on 11 April 1888, and the Concertgebouw Orchestra was established a few months later. This is also the same case with the Gewandhausorchester Leipzig, named after the concert hall, or Gewandhaus. The RCO only came to be known as the Royal Concertgebouw Orchestra a hundred years later in 1988, when Queen Beatrix conferred the ‘Royal’ title upon the orchestra. 5. In the same survey by Gramophone that ranked the RCO as the world’s best orchestra, close contenders for the title were the Berlin Philharmonic (ranked 2nd) and the Vienna Philharmonic (ranked 3rd). Both Berlin and Vienna Philharmonic Orchestras have performed at Esplanade before. Don’t miss your chance to catch the world’s number 1 orchestra for the first time here in Singapore, and see what makes them the very best! Happening at Esplanade Concert Hall on 23rd Jan, 2017! More information available here. Most would cringe at the idea of sitting through a whole opera, with lengthy, complicated plots and over-the-top staging sung in a foreign language. What if you had the chance to sit through three operas in the span of only one hour? L’arietta Productions defies the notion that opera is a boring art form. Watch them take on the challenge of performing 3 modern operas in English, all in just under an hour in the middle of orchard road. In Horovitz’s Gentleman’s Island, two Victorian gents are washed up on an island. How will they interact with each other when they haven’t been properly introduced? In Window Shopping, written by local composer Chen Zhangyi, a girl and a woman ponder life, shoes, and priorities in a beautiful shoe shop. Samuel Barber’s A Hand of Bridge explores the fantasies and the guilts of two couples that play cards every night, set in post-war America. This production features Akiko Otao, Angela Hodgins, Brent Allcock, Reuben Lai, in a series of contemporary compositions directed by Jameson Soh. Plink, Plonk, Plunk catches up with tenor Reuben Lai, who heads this project and performs as well. How did you come up with the idea of having three operas in one hour? R: We started out with A Hand of Bridge (by American composer Samuel Barber). Looking at the underlying themes, and the strength of our singers, we were able to incorporate a comedy from Horovitz (Gentleman’s Island). And we decided to include a local composer Chen Zhangyi’s Window Shopping for a reflection into our lives driven by consumerism. It’s a fun-sized production, giving the audience a fresh experience of opera within just one hour. All of the three operas also tend to have the same theme running through them, which was a very happy coincidence too and an example of perfect serendipity. If you could sum up each opera in one word, what would they be? Which of the two characters in these three operas, if you could mix them up, would make the best couple? And why? “Honestly! 3 operas, one hour” explores the complexity of communication, and how we never really say what we mean through short contemporary operas. Good stories, fantastic music, all in one hour. Happening on Saturday, April 2nd, at 3pm and 7pm on the top floor of Orchard Central, at 10 Square. Tickets at $30 from lariettasg.peatix.com. 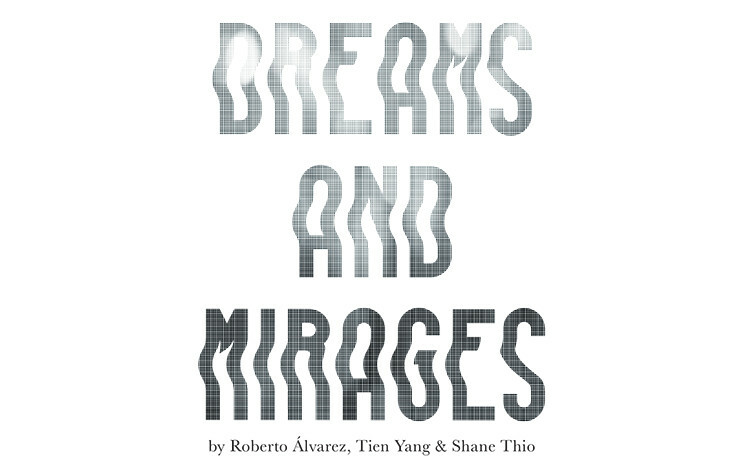 Dreams and Mirages: what happens when you put a harpsichord, piano and flute together? 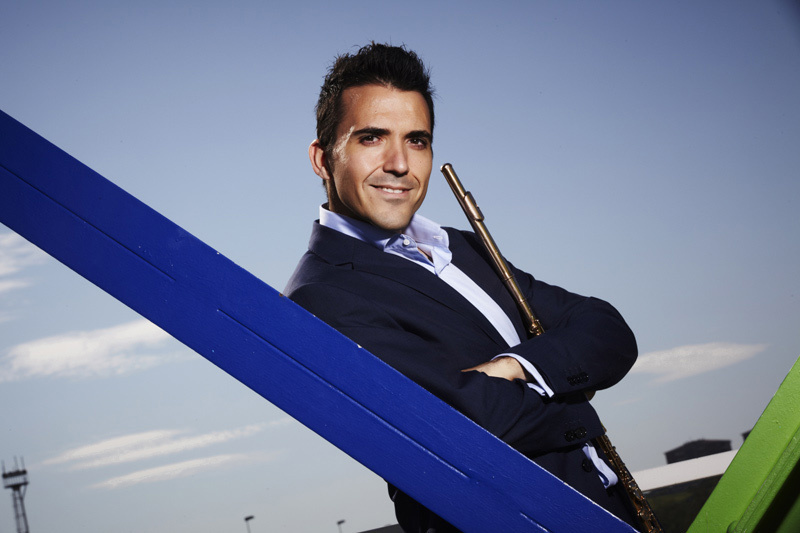 Though most musicians have a preference for the genre of music they dabble in, flautist Roberto Alvarez feels equally at home playing anything from Baroque to Jazz, whether solo, in orchestras, or in chamber music groups of any size. Known for his ‘consummate artistry’ and ‘hot blooded Spanish flair’ in his playing, the solo piccolo player of the Singapore Symphony Orchestra is a strong advocate of playing music of our time, by living composers. 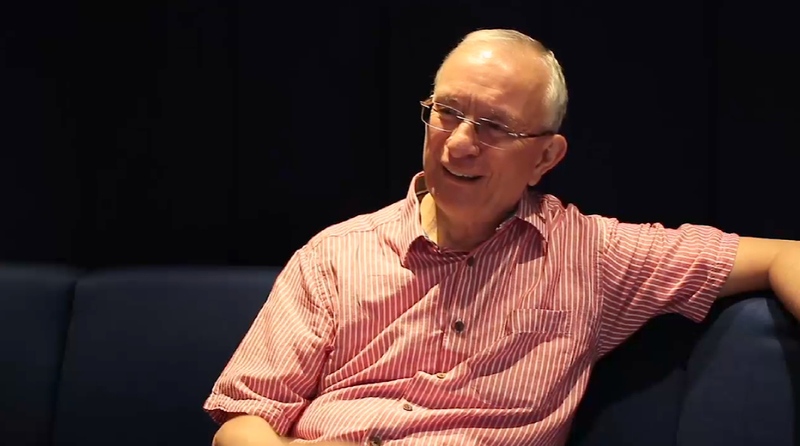 Composer/conductor Eric Watson interviews him ahead of the Spanish/Singaporean-centered programme he presents at Spectrum. 1) When you were choosing the works for this programme what were the considerations you had in mind? Tien Yang and I were talking for years about the possibility of performing a full recital of contemporary pieces for flute and harpsichord. 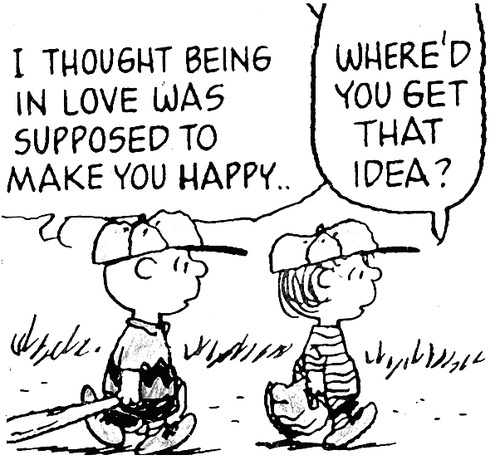 It all began like that. Then I thought it would be interesting to feature the piano as well, and I was willing to perform Zechariah Goh and Luis Serrano’s works. José Nieto is a very well known movie composer in Spain, and he had written Angelasia a couple of years ago for me. All these pieces seemed to work well together, but we still needed one piece featuring flute, harpsichord and piano. I hadn’t heard about such a combination before, so I commissioned a new piece to my former student Daniel Lim, who is studying composing at the Royal Northern College of Music, the same school where I studied. You can imagine how proud I am of making the World Premiere of Daniel’s Fata Morgana and also José Nieto’s Angelasia. 2) Do you feel that there is any particular synergy between Spanish music and Singaporean music? It is very important for me to perform music of our time from both my homeland and the place I call home for 9 years now. I would say that there is not an obvious link in between the music from bounty countries, but somehow I feel both repertories work very well together. A unique example of this is the cd La Noche a recording of new pieces for flute and harp written by Singaporean and Spanish composers. Harpist Katryna Tan and I have toured Australia performing these pieces and the combination works perfectly. 3) What qualities do you particularly look for in contemporary flute music? Absolutely the same qualities I look for in other repertories. It has to be a piece that somehow connects with me. A piece that is good to express feelings, a story, a concept, etc. Something that I have been noticing constantly for many years when I perform today’s music is that members of the audience are surprised of how appealing new music can be. There is a preconceived idea of contemporary music as something that they won’t understand, but I think that music can give you something that transcends understanding and it can connect to you in a very special way. 4) How does your performance differ when the accompaniment is harpsichord rather than piano? Both instruments are quite different. It is a matter of sound combination. As in the orchestra, you use not only your best tone, but one that melts with other instruments. Depending on if you play solo, or with a clarinet, oboe, violin section, etc, your tone and articulation will be modified to adapt to the combination. In any case, these pieces are fantastically written and there is no problem of balance, which was one of my concerns at the early steps of the recital preparation. 5) What do you consider to be masterpieces of 20th and 21st century flute music? I would never dare to tell about the 21st century because we just have begun listening to that repertory. There are many new composers that we will be discovering during the next years. As for the 20th century I will say Stravinsky’s The Rite of the Spring. Dreams and Mirages will be the first time in Singapore (and possibly anywhere else) a piano, harpsichord and flute will join forces. Happening on 8th March 2016 – next tuesday, 7.30pm at Esplanade Recital Studio. Don’t miss it! Get your tickets here now! Didn’t manage to get a ticket for Israel Philharmonic Orchestra’s concert tonight? This January, six prominent members from the Israeli Philharmonic Orchestra will be extending their stay in Singapore after their one-night concert conducted by Maestro Zubin Mehta to stage their first performance at the Singapore Botanic gardens since it was listed as a UNESCO World Heritage site. The IPO will be performing Vivaldi’s on the 10th of January 2016. The free-for-all concert will stand as an emblem of the close and enduring relationship that Israel has always shared with Singapore. As each thematic movement is associated with a particular season, the composition brings to life moods and scenes from each period and inspires the imagination of the listener in conjuring up a vision of the changing seasons of the year. With such a title as ‘Musings of an Artiste’ and a poster with a dark background showing the artiste deep in thought (musing, presumably), one almost expects the repertoire to be big, heavy works of the 19th-century, where artist(e)s were admired, put on a pedestal, and revered as idols. The stage, too, was set to reflect a 19th-century style salon, with flowers underneath the piano and in large vases behind. Instead, what a surprise it was when the repertoire turned out to be three sonatas from the Classical period, bordering on the cusp of Romanticism and in the key of E-flat major. Haydn’s Sonata Hob. XVI:49 which opened the evening was a delightfully witty and light, peppered with contrasting moments of drama. The drama was brought out further in the Les Adieux sonata, written by Beethoven in expression of farewell to a dear friend the archduke Rudolph. Before playing, Lim gave an account of how he was given this work to learn when he first went to UK, as his teachers thought he could identify with the separation from his family and home. Revisiting this sonata, he gave a highly poetic and wonderfully detailed account of it, never letting the drama get the better of the structure and without over-the-top expression. The 4-movement Sonata D.568 by Schubert which followed was a tribute to Ms Lim Tshui Ling, his former teacher. In it, Lim immersed the audience into the fluid, ever-changing harmonies of Schubert’s sound world, deftly navigating the delicate key changes. The opening Allegro had a dancing lilt to it, and the hushed pianissimos in the andante molto offered a warmth that was almost ethereal. Although the absence of programme notes was evident at the start of the concert, Lim skilfully wove programme notes into his preambles before and in between pieces, making the evening more intimate and showing a side of the artiste that one doesn’t often see with other performers. 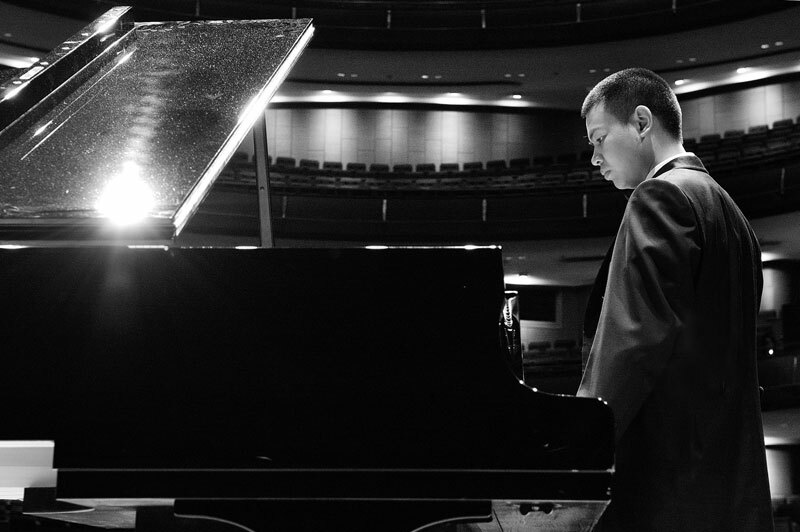 The dramatic and passionate side of Lim finally broke through in his encore of Rachmaninoff’s Prelude Op 23 no. 5; and since the key of E-flat major was the thread linking up the entire programme, ‘it would be a little perverse not to end the evening in E-flat major’, Lim quipped, and polished off Rachmaninoff’s Prelude op 23 no. 6 in understated virtuosity. This recital was presented by Kris Foundation. Eric Watson can order his Kopi C Kosong in fluent Singlish, writes music for Chinese, Indian and Malay ethnic instruments, and has lived here long enough to fit into the Singaporean landscape. Plink, Plonk, Plunk catches up with him ahead of the Spectrum concert he presents at the Esplanade Recital Studio where he programmed, composed, wrote programme notes, and conducts the YST Conservatory New Music Ensemble. 1/You chose the programme, wrote the programme notes, wrote a piece and will be conducting this concert. Could you tell us what you had in mind when putting the programme together? There were actually two ideas I had in mind: one was that alternate points of view, when we encounter them, can actually be sometimes quite startling – I’m not talking about someone else’s point of view, but your own point of view – it’s like when you see a tree from a different angle, sometimes it seems like it’s a completely different tree but it’s not, it’s the same tree. It’s a totally different angle, perhaps the light is different, or even the sound is different – there are birds on one side and not on the other – so that sort of alternative point of view has always fascinated me. Also, the same stories that could have different endings, I find that quite fascinating. It was partly with the tree analogy in mind that I called [the concert] Landscapes. The other thing I had in mind was that I wanted to feature some music that came from the group of composers that were active after the Cultural Revolution: Zhou Long, Chen Yi, Bright Sheng.. That’s why those two pieces came to be there. Again, partly because they’d been in isolation during the Cultural Revolution, for me that was an interesting perspective to see what might actually come out of that. 2/ let’s talk about your piece Inner Landscapes : it deals with changes in perspective. Could you tell us a bit more about how you wrote it and what you had in mind when writing it? Well Inner Landscapes is the inner landscapes of the mind, in this particular case. I’ve spoken to many people about how they think, what they think, and it’s interesting just because of how different those processes can be. Some people do actually think linearly, but I think majority of people think in a sometimes disjointed, rather haphazard manner on the surface – it’s not necessarily unconnected because I think there are subconscious forces at work – and that process has also always fascinated me, it’s like the ‘stream of consciousness’ idea that you encounter during James Joyce’s Ulysses, for instance. The whole last part of the book is basically a stream of consciousness of ideas floating through the surface, disappearing, and then coming back in another form, perhaps something else, certainly transmuted. The analogy I can give with Inner Landscapes is that in the opening fanfare, a typical, ritualistic fanfare in a sense, becomes by the end of the piece, a rhythmic pulse in the background of what else is happening. And ten minutes later that’s the link between the ending and the beginning. ..so then it’s kind of like Franz Liszt’s thematic transformations where something becomes something else? Well yeah, that’s right. And sometimes it’s very difficult to see where the end result actually came from; but I’ve done this enough times and studied enough composers’ works to realise that this is very much a part of the creative process. 3/Speaking of perceptions, have you changed your perceptions on life and music as you grew up? Yes I hope I’ve changed my perceptions as I’ve grown up a bit! Actually yes. When I was a student, for instance, I was listening to a lot of what was called avant-garde music. It still is avant-garde music now, but it tends to refer to that particular period of time then. I was listening to composers and talking to them, like Stockhausen, and going to concerts, and there was an awful lot of new music I was actually hearing. But gradually over a period of time, my ideas of what I was listening to, and what I was enjoying as a listener began to change. After some years I looked back (I actually stopped composing for a while, because it brought me to a halt, I couldn’t sort of feel where I was), and actually then, some years later, I thought to myself one day that the process that goes on exists in several different ways – perceptions again! You often have the professional observers – critics, the historians and musicologists – making predictions saying, ‘this should be this way, and that should be that way’, I look back and I think, not much of that has actually happened in the way that it was expected to be. And of course I began to understand that there were forces – subterranean forces, if you like (sounds a bit sinister, doesn’t it) – that work that, composers, creative artists, just simply have their own creativity that compels a direction different from what could be expected. But I’ve learnt to be comfortable about it in the end, rather than sit up and think, ‘oh, I shouldn’t be doing it this way, because this is not the right type of music that 21st century composers should be listening to’, and I’ve heard this attitude before several times. But now I’ve gotten quite comfortable with it and my music shows it, probably to a very large extent. In the end, I wanted to communicate – I didn’t want to just have a small band of followers whom my music spoke to and nobody else – so that was an important part of my creative process. 4/And how have your perceptions changed also since moving to Singapore from UK? When I came to Singapore, what I discovered was – it sounds strange, but – an iceberg. What I mean by that was that I’d started exploring a little bit of gamelan music when I was in the UK and a little bit of music coming of other cultures. Not a lot, but enough to get intrigued. When I came to Singapore, that was when I discovered the rest of the iceberg, because you know that the tip of the iceberg is usually one-fifth of what you actually see, whereas the rest is huge and there and quite dangerous, and you don’t see it. That’s what happened with Singapore. It’s all there, and I’ve discovered it and it’s dangerous because it’s made me really think outside the perimeters we’re used to. Now I’ve encountered gamelan in a very whole-hearted fashion, but also Indian music, and Chinese music, various kinds, and I don’t necessarily mean only the orchestral music which goes back only to the last 100 years, but I’m talking also about Nanyin music which goes back such a long time. The tradition of small ensembles as well – chamber music-making – particularly in Chinese music but also Indian music and other areas too. So that’s what Singapore has done, it’s opened all that up to me. But whether in the end I’m successful or not, in those directions, I guess time will tell. 5/ You have won some awards so time has told something – you’ve been quite successful in mixing the instruments of Indian, Chinese and Malay music.. but I wonder about jazz. You used to play jazz piano.. Yes, it’s true. For a long time I earned my living working in musical theatres as conductors and director. And of course I’d encounter all kinds of musicals, literally from the Sound of Music to Jesus Christ Superstar, those are two extremes. And of course there’s a great variety of styles of music within all of that. So that inevitably has become a part of what I am, because I actually quite a lot of things – I really do like theatre music, you know, it’s still for me, an excitement: I go to a musical and hear the orchestra start up and I get all excited, it’s like a little boy in a sweet shop! 6/ what inspires you besides theatre music and the new fangled instruments that you’ve learnt about? So lots of things inspire me. Literature does, certainly. But whatever it is that inspires me, at some point, has got to engender some kind of emotion within me. quite often it’s simply wonder at first, but emotion is a communicator, not just to communicate to others but quite often, to communicate to ourselves. Music, if it doesn’t communicate, for me then really lives in an ivory tower. And I don’t like it. Many things inspire me but normally whatever it is, art, photography, literature, nature or just ‘doodling’ stirs something in me emotionally, not necessarily in a pleasant or ‘romantic’ manner after all disgust is also a strong emotion, but whatever it is it gets me thinking and feeling. 7/ if you had to describe your music in less than 10 words, what would it be? Eclectic is probably the best way. I do actually sometimes change styles and feel in pieces that I’m going about.. but it’s not inconsistent. Also my music tends to be, in new music terms, reasonably approachable to people on the whole. Not always, because sometimes I do get times where I start thinking to myself, ‘I can’t express this in any way except in a way that it’s difficult to listen to; because that’s what it is about. but for the most part, I do try to write things that people could understand at some level. And I don’t think that’s writing down, that’s not what I want to do at all. It’s the same when I’m using ethnic instruments as well – I don’t try to write Chinese music or gamelan music using the instruments.. I use that sound world as a resource and try to write my music. I don’t want to imitate other things because other people do it far better anyway. Sorry that was far longer than 10 words wasn’t it? 8/Finally, one last question – Why should people come to this concert? Well because it’s an enjoyable experience. They might find the contrast themselves quite interesting and amazing, and perhaps will just get some insight on an area which is perhaps not quite as well known as it should be. And actually this is music of our day, you know, there‘s an awful lot of music that doesn’t belong to our century – we play it a lot and it’s very magnificent and all – but this is music that comes from the world that we are living in, at this time. So I think it’s an important for that reason. 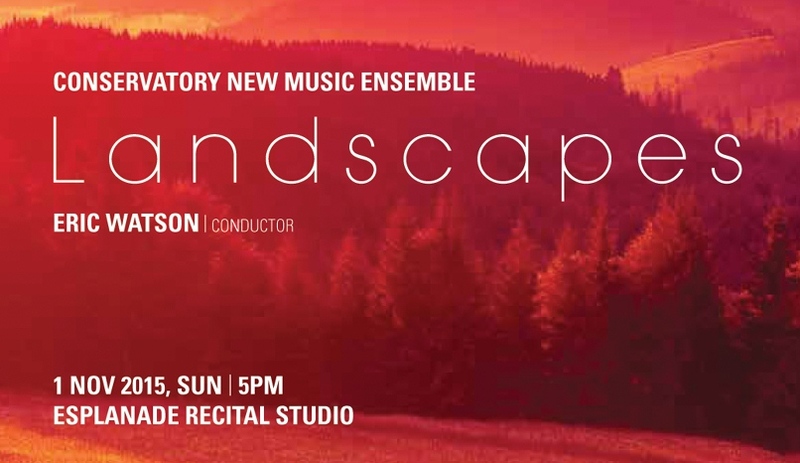 Landscapes by Eric Watson and the YST Conservatory New Music Ensemble happens this Sunday, 1 Nov 2015 at the Esplanade Recital Studio. Come and witness the breath-taking, ever-shifting landscapes in music! Buy your tickets here now! Landscapes is part of Spectrum, an Esplanade Presents programme. The inaugural Singapore International Festival of Music, brainchild of conductor Darrell Ang and violinist Loh Jun Hong, opened last Saturday with a concert themed after the festival theme ‘War and Peace’. Comprising mostly luminaries in the classical scene, musicians, composers, and patrons of the arts, the half-filled Chamber had good acoustics for a chamber concert (pardon the pun). As history was made in that room before (the Chamber used to be the place where parliament sessions took place), history was being made the very evening with the festival. Lee Chor Lin, CEO of the Arts House, spoke in the opening address of her recent trip to Berlin and about how the city remembers history by naming roads and building monuments; she then likened it to how SIFOM sets out to remember our history with a music festival – because music gives hope in despair and a way out of desperation. Festival co-director Darrell Ang then made an appearance, speaking about the need for Singapore to have her own international music festival that would put Singapore on the world map of musical cities; after all Singapore has a huge talent pool of capable musicians who have been trained both locally and overseas. The opening work featured festival co-director Loh Jun Hong as soloist in Mozart’s Violin Concerto no. 5. The three works on the programme were tied together by the theme of historical wars, and the Mozart was featured because of the ‘Turkish’ section in the third movement where Mozart parodied the invasion of the loud, bawdy Turks. Loh was stellar as always, collected and confident, with his quicksilver sound. The gentleness of the adagio gave way to the amiable rondo third movement. Loh plunged into the swaggering, stomping Turkish section with aplomb, his instinctive mastery of the bow was evident from the way he switched between the sections. Perhaps it was because the musicians were standing while the two speeches were being made, or because the orchestra was recently-assembled that they were slightly askew in accompanying Loh. The horns, in particular, did not blend well with the rest of the ensemble. A classical work is a litmus test of any chamber orchestra, and one can tell the chemistry of an ensemble by observing the way they interact with each other and the conductor. As much as all of the musicians were handpicked to form the ensemble, they were more intent on following the conductor than interacting and listening to each other. However, conductor Marlon Chen held the ensemble together well, and they gave sparkling performances of Britten’s Sinfonietta and Stravinsky’s Dumbarton Oaks Concerto. The ensemble opted for the 1932 version of the Sinfonietta – smaller, one instrument per part set-up – which worked well to their advantage. Britten’s picturesque scoring was brought to life in its minute detail; the instruments dovetailing subtly into one another. Especially memorable were the duet for two violins in the Variations, and the impressive restraint in the build-up to the Tarantella that did not overrun into uncontrollable frenzy. Even in the Stravinsky, the ensemble gave a detailed account of the neo-classical work, always ensuring that there was clarity, but not to the point of being pedantic or prescriptive. Chen knew the score inside out, and the musicians responded right on cue. What he didn’t know that well, however, was the history and context of the music. As much as the committee tried to make the concert informal by having Chen introduce the pieces, his short introductions sounded rehearsed and almost forced. “See, the Conqu’ring Hero comes,” and Schubert’s Trout Quintet, be sure not to miss this one! 7.30pm, Chamber @ The Arts House. 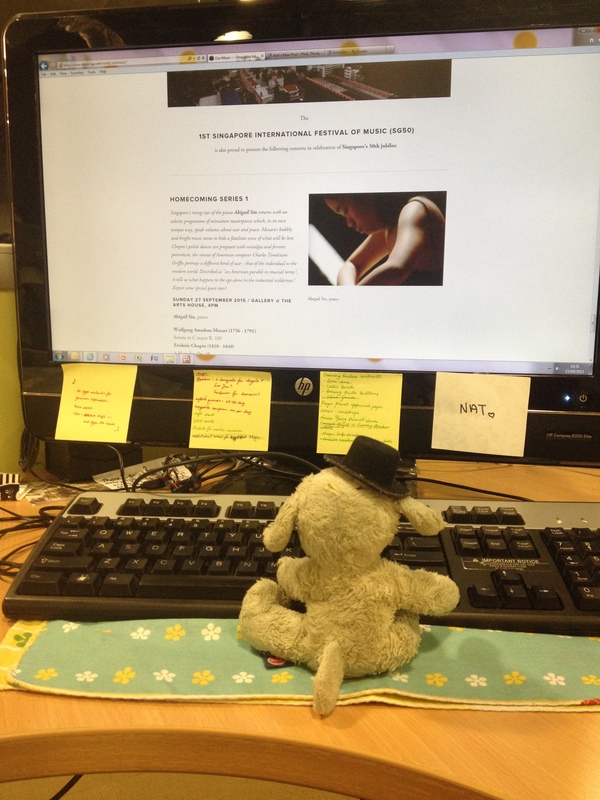 sheep is proud to be the festival blogger for the Singapore International Festival of Music! the inaugural Singapore International Festival of Music is what Singapore has lacked for some time: an entire festival of classical music by homegrown musicians, to celebrate how far the classical music scene has come, and also celebrate Singapore talent. as Singapore celebrates her Jubilee, what better time to launch an all-Singaporean music festival by local musicians? chamber music is the focus of this year’s edition; the theme War and Peace examines the world’s great wars and the great music that was the result of them. it also looks at the moments of peace that led to fine music, building the foundation for music to develop. chamber music is meant to be performed in an intimate setting, which the Arts House venues create with audience and performers sharing the same space, a close proximity not unlike that of story-telling by a fireplace. the barrier between performer and audience is also broken as performers will share more about the music before each performance, and audience members are encouraged to speak to the performers about the works and the concert. six programmes of chamber music, along with two homecoming recitals will showcase Singapore’s best talents, all making music for a common purpose. War and Peace opens the festival, with a programme of Mozart’s Violin Concerto no. 5 played by Loh Jun Hong, which includes a section of Turkish music, Mozart’s reference to the historic ‘Battle of Vienna’ when the Ottoman Turks besieged the city. also on the programme is Stravinsky’s Concerto in E-flat “Dumbarton Oaks”, the last work he wrote in Europe before leaving for the USA to escape impending war. Britten’s Sinfonietta Op. 1 was written around the same time, where Hitler’s nomination as Chancellor of Germany set the stage that would jeopardise world peace. conducted by Marlon Chen, and played by excellent musicians who are soloists in their own right, join SIFOM as they bring you through moments where history made music at 7.30pm on Saturday, 26 September 2015. 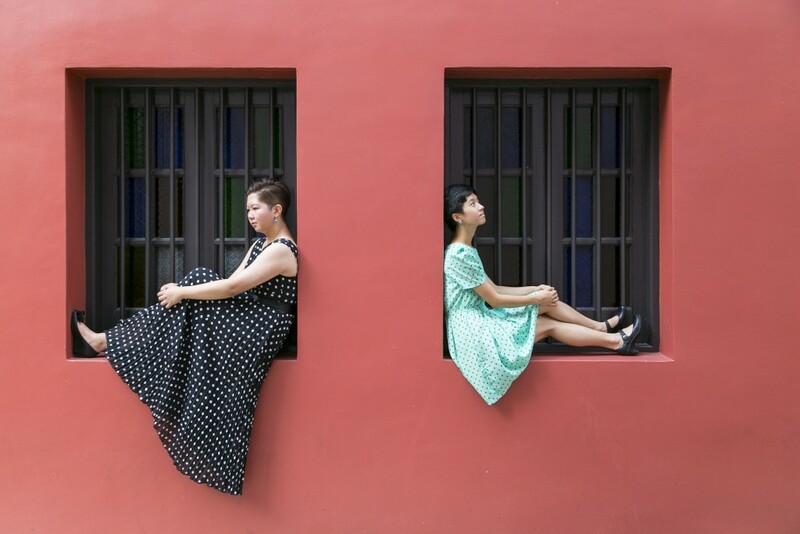 It’s been nearly a year since their successful recital ‘Could this be death?’ last year (read review here), and this time, soprano Cheryl Lee Peixin and pianist Wong Yun Qi have something up their sleeves again, promising to be just as amazing as their recital before. Better still, it’s absolutely free of charge, and features an accessible concert-programme, specially aimed at first-time concert goers, yet not dumbed-down such that seasoned music-lovers will also find their programme a treat. Just what really is love – is it that heady rush of anticipation, with butterflies in the stomach and stars in our eyes? Would the world be complete in its presence, and strangely empty when it takes off and leaves? Is it hiding in the shadows of the forest woodlands, at the Eiffel Tower, or in a room as red as wine? Can it be found with the ice cream man, the women in the windows, and the next-door neighbour? 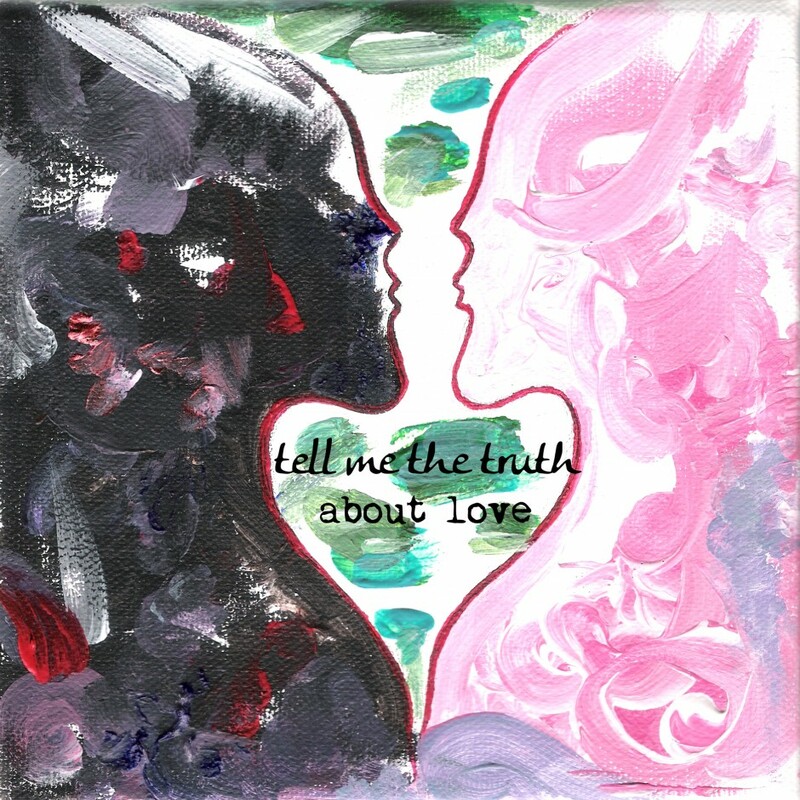 F. Scott Fitzgerald once wrote: “There are many kinds of love in this world, but never the same love twice.” Join the duo as they unravel this mystery which has intrigued so many. This concert features songs about love as told by Richard Strauss, Arnold Schoenberg, Gustav Mahler, Benjamin Britten and William Bolcom; inspired by Rückert, Dehmel, Auden, Weinstein and many others. This concert happens on Thursday, the 20th of August 2015, from 1930-2130hrs, at the Lee Foundation Theatre, Nanyang Academy of Fine Arts Campus 3 (151 Bencoolen Street, Singapore 189656). Register here for your seats, and don’t forget to bring a friend or two! Cheryl Lee Peixin studied under Martin Klietmann, Joseph Breinl and Robert Heimann in Graz, Austria. She has performed as a soloist with Ornamentum Wien, chamber ensemble of the Vienna Philharmonic Orchestra, and given several premieres of works by local composer, Americ Goh. She sang in the world premiere of Dmitri Kourliandski´s opera Asteroid 62 at the contemporary music festival Musikprotokoll des Steirischen Herbstes. Wong Yun Qi completed her Masters Program in Hannover, Germany under the tutelage of Jan Philip Schulze, Martin Brauß and Zvi Meniker. She is currently based in Hannover as a lied accompanist and collaborative pianist. Highlights of this season include performing at the Schleswig-Holstein Musik Festival. It is sometimes good to be spoilt for choice, but in the case of this thursday evening, with two concerts put up by excellent local musicians, I’m wishing that they didn’t happen at the same time so I wouldn’t have to miss either. 3 x 3: Three Musicians. Three Masterworks. Three Liaisons. 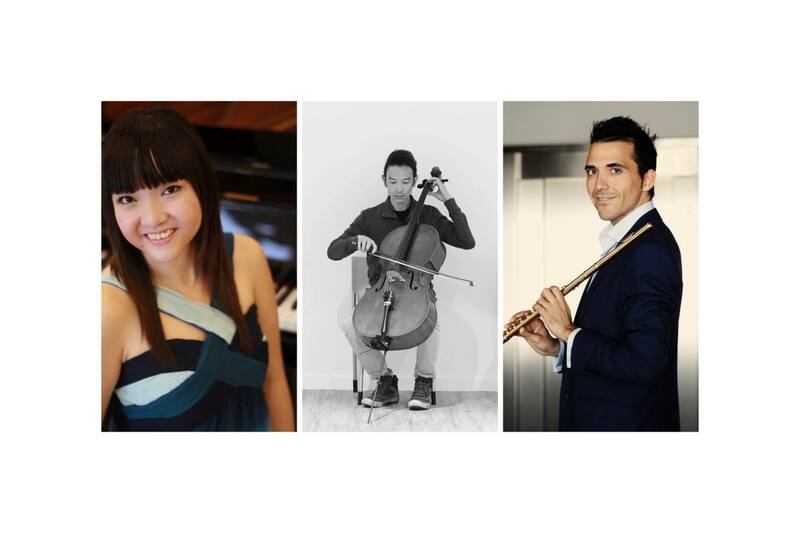 3 x 3 sees flautist Roberto Alvarez, cellist Leslie Tan and pianist Teo Li-Chin in a chamber concert, presenting three masterworks: the monumental sonatas by Franck and Prokofiev, along with a seldom-heard trio by Kuhlau. Kuhlau’s Trio Op. 119 was the very last work he wrote. He was said to be the Beethoven of flute composition. This light and charming work encompasses the true identity of Viennese Classicism. The emotions and madness of war manifest themselves in the complex harmonies, forceful rhythms, and thick textures of Sergei Prokofiev’s second sonata for flute and piano; and Franck’s famous sonata for cello and piano takes the listener on a spiritual journey, exposing the listener to the beauty of harmony, richness of emotion, and a glorious celebration of joy. Join SOTA faculty members as they excite and inspire with these masterworks on the 16th of July 2015, Thursday, 7:30pm at the SOTA Concert Hall. Tickets are available online at $25 each ( concessions for students are available at $10) and are also available for purchase at the door. Also happening on the same evening is a piano recital by one of Singapore’s brightest pianists, Lim Yan, as part of the VCH@SG50 series. Lim Yan is no stranger to Plink, Plonk, Plunk or the music scene here. Having played the entire Beethoven concerto cycle over three concerts in two weeks in 2012 and the Brahms violin sonatas in concert sometime last year, the Young Artist Award winner brings two familiar works from Beethoven: the Sonata in E-flat major, Op. 27 No. 1 and the ‘Eroica’ Variations, whose theme was also featured in the finale of Beethoven’s Third Symphony; a work ‘Rollercoaster Ride’ by Singaporean composer Liong Kit Yeng; and the ever popular yet enigmatic Liszt’s Sonata in B minor, a piece dedicated to Robert Schumann which is notable for its revolutionary musical form. Tickets available from Sistic at $18.